Charming middle aged redhead woman admiring her body shape in the mirror and slapping her buttocks in domestic interior. 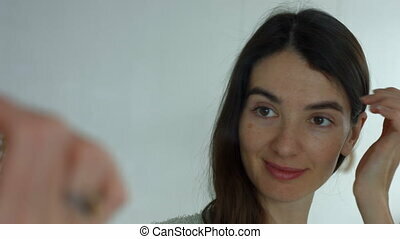 Cheerful woman looking at her reflection in the mirror with positive emotion. Smiling middle aged redhead woman checking her body shape in the mirror in domestic interior. Reflection of plus size beautiful cheerful woman in sportswear posing in front of the mirror at home. Midsection of adult woman wearing old jeans and showing her progress after weight loss. Closeup. Reflection in the mirror of slimming happy female in old pants after successful diet. Displeased middle aged redhead woman in sportswear measuring her hips with measuring tape and looking at herself reflection in the mirror. Dissatisfied woman measuring her body with tape at home. Midsection of attractive woman measuring waistline with tape while standing near mirror. Closeup. Woman measuring perfect shape of beautiful waist with measuring tape at home. Midsection of middle aged woman measuring her hips with tape while standing in front of the mirror. Woman measuring perfect shape of beautiful hips with orange measuring tape. Closeup. Blurry depressed woman sitting on wooden floor near bed holding head and arms on knees after weight loss fail with weight scales in foreground. Sad female upset with weight gain in domestic interior. Midsection of adult woman measuring her waistline with measure tape while standing in domestic room. Closeup. Positive woman checking success of weight loss program with measuring tape at home. Cheerful middle aged woman measuring waist with measuring tape while standing near mirror at home. 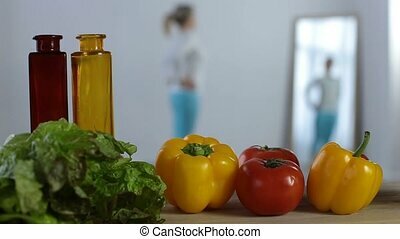 Positive woman checking success of weight loss program with measuring tape in front of the mirror. Rear view of adult redhead woman in hat enjoying nature and drinking cocktail while resting at the seaside during summer vacation. 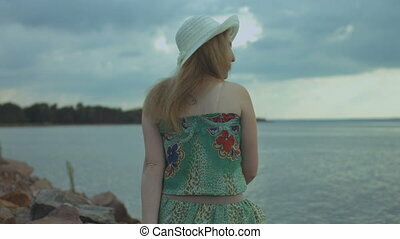 Carefree relaxed female in summer outfit looking at the sea. 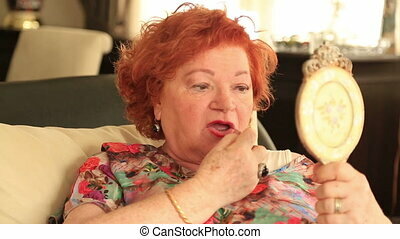 Displeased middle aged redhead woman looking at herself in the mirror and pinching stomach fat in domestic interior. Sad plus size woman looking her reflection in the mirror with sorrow at home. Rear view of pretty relaxed woman in stylish summer dress and sunhat enjoying leisure , drinking cold mojito cocktail and admiring a view while sitting on towel on the beach during summer vacation. 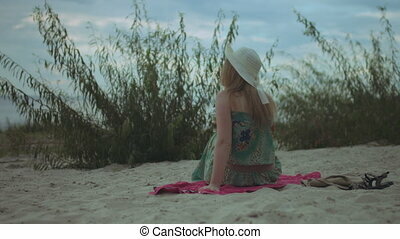 Carefree pretty redhead woman in stylish summer dress and hat relaxing at the beach while lying down on a towel. Attractive ginger female in sunglasses enjoying summer holidays vacation at seaside. 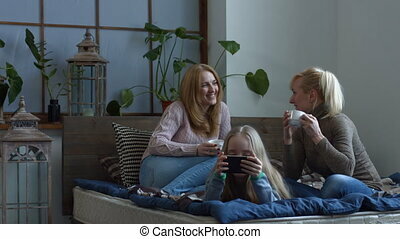 Cheerful middle aged women siting on the bed with mugs of coffee and gossiping while confused little girl playing on smart phone in bedroom. Two joyful women chatting and telling secrets over coffee. 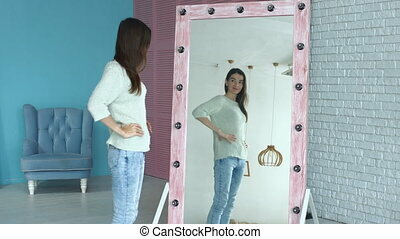 Beautiful slim millennial woman looking at herself reflection in mirror, satisfied with her appearance after weight loss over domestic room background. Happy female posing in front of mirror at home. 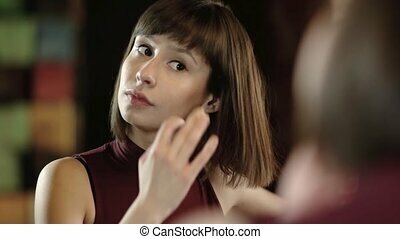 Positive sensual brunette female looking at herself reflection in mirror and touching her hair in modern home interior. Smiling pretty woman with perfect skin posing in front of mirror at home. 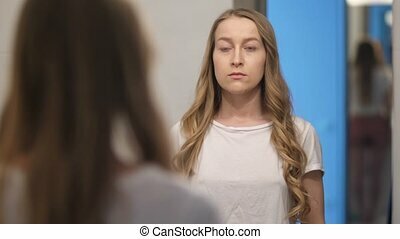 Mirror reflection of dissatisfied middle aged woman looking for wrinkles around the corner of her mouth and eyes in domestic room. Aging woman at mirror touching skin and looking at wrinkles. Joyful fitness woman in sportswear feeling excited after weight loss success, posing at mirror and admiring her perfect body shape. Positive smiling female satisfied with herself reflection in mirror. Gorgeous blonde woman with amazing long hair and perfect body admiring her reflection in mirror at home. Portrait of charming girl posing near mirror and satisfied with her look in domestic interior. Reflection of beautiful long hair asian young woman in the mirror at home. 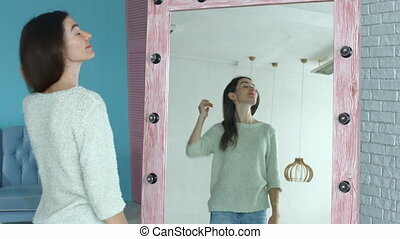 Attractive smiling girl looking at her reflection in big mirror and satisfied with her look in domestic interior. Excited elegant brunette woman satisfied with her body shape and look while standing in front of big mirror at home. 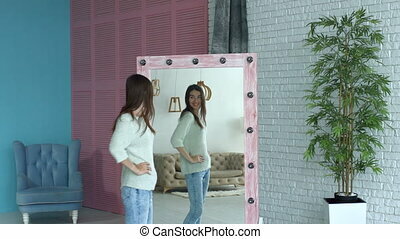 Joyful female looking at herself reflection in mirror and smiling in domestic room. 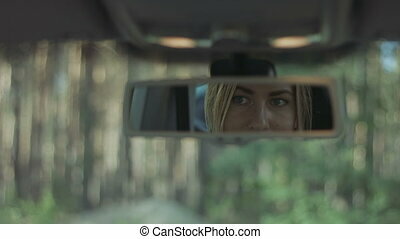 Reflection of beautiful long blonde hair woman with deep blue eyes in car rear-view mirror. Charming female driver looking at her reflection in car rear-view mirror during vacation road trip. Cheerful little girl touching face, enjoying her clean pure skin and smiling while looking at her reflection in mirror at home. 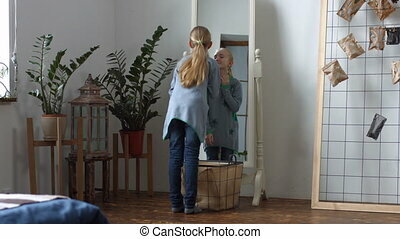 Beautiful preteen girl admiring her look and clean face in the mirror. Reflection of charming young woman in a big mirror. 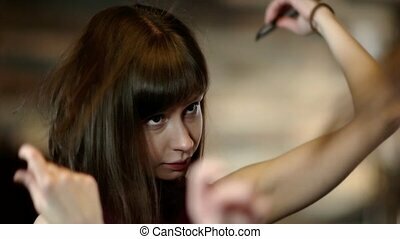 Lovely positive long brown hair woman with enigmatic brown eyes looking at herself reflection in the mirror and smiling. Closeup. Reflection of beautiful woman in car rear view mirror while driving her car on highway on sunny summer day. 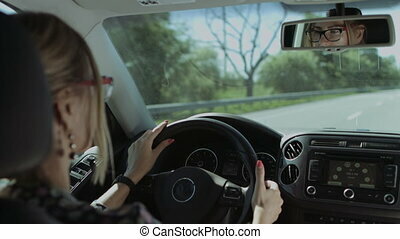 Female driver in eyeglasses are reflected in the car rear view mirror during road trip. 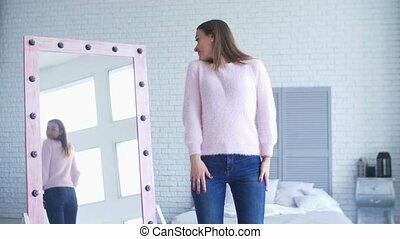 Attractive slim millennial woman in stylish clothes checking her body shape in mirror after weight loss in domestic room. Positive female with perfect body enjoying her appearance in mirror at home. Happy adult blonde woman with fresh clean skin touching her face and satisfied with her reflection in the mirror in domestic room. Beautiful smiling middle aged woman admiring her look in the mirror.